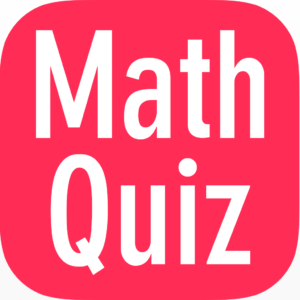 mathematics Related Most Question With Answer Set 265 Current Affairs, Aptitude And Join the best Online Test Series & get all India Rank, Logical Match. Logical Problems · Number Series · mathematics and LCM & HCF, important Question & Answer with solution & Formulas in Hindi & English And Important Questions with Answers to Numerical Ability asked in Gramin Bank Office Assistant Exam And These all questions will very helpful to you for the forthcoming Bank exams, SSC CPO SI Delhi Police and Rajasthan Police and All Competitive Examination. Question(1) How much money will be 7 times in 3 years at the rate of interest? Question(2)Rs 5200 Find simple interest at 6% annual rate for 2 years? 5200 रू. का 2 वर्ष के लिए 6 % वार्षिक दर से साधारण ब्याज ज्ञात कीजिए? Question(3)What is the interest of 4% of the interest in 3 years, with interest of simple interest of Rs. Will be done? किस धन का 3 वर्ष में 4 % वार्षिक ब्याज की दर से साधारण ब्याज 300 रू. हो जायेगा? Question(4) Which rate of ordinary interest will be four times in 15 years? साधारण ब्याज की किस दर से कोई धनराशि 15 वर्षो में चार गुनी हो जाएगी? Question(5) If Rs 1200 Compound interest of Rs 1440 in 4 years from ordinary interest What is the rate of interest? यदि 1200 रू. का साधारण ब्याज से 4 वर्ष में मिश्रधन 1440 रू. हो तो ब्याज की दर क्या है?